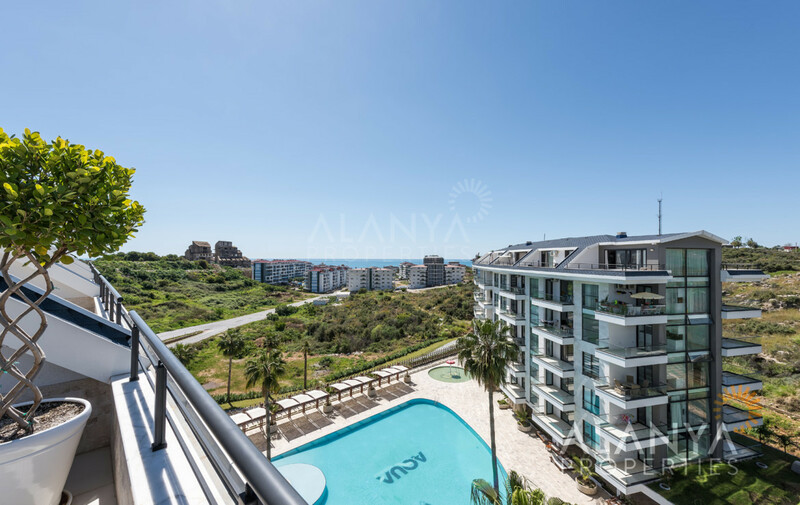 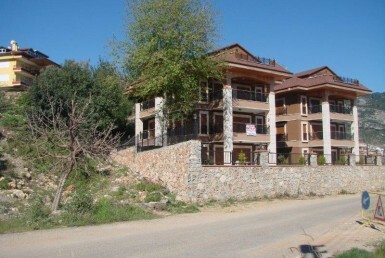 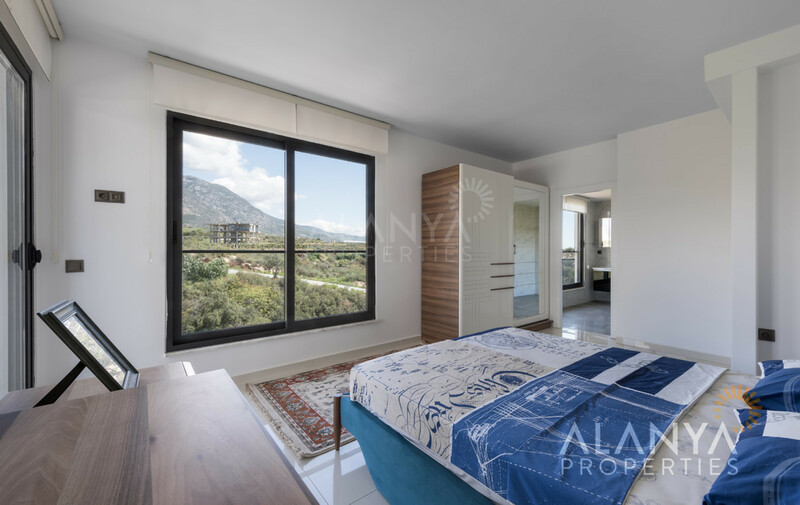 3 bedrooms penthouse for sale in Kestel, Alanya with sea view. 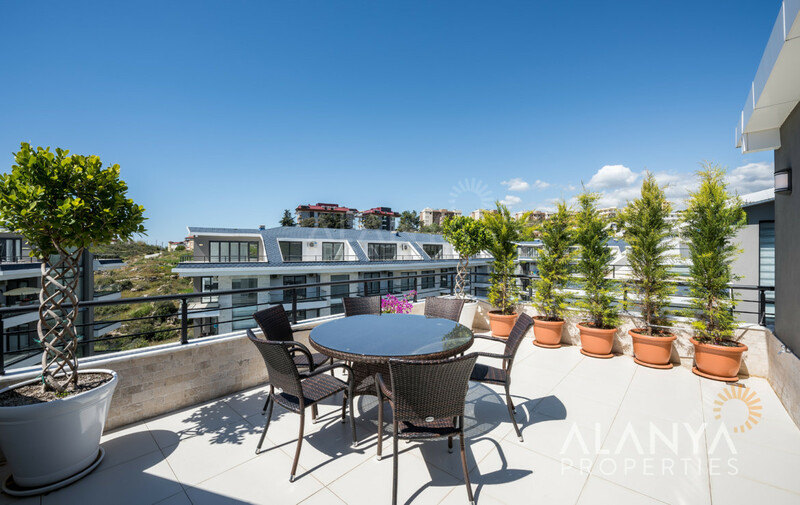 This penthouse is in the 5th floor and modern furnished. 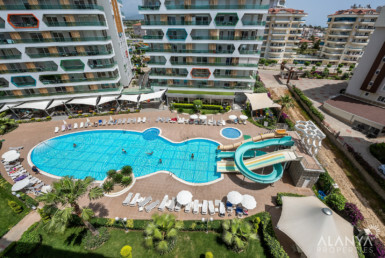 It has 1 big living room with kitchen, 3 bedrooms, 3 bathrooms and 2 big balconies with amazing sea view. 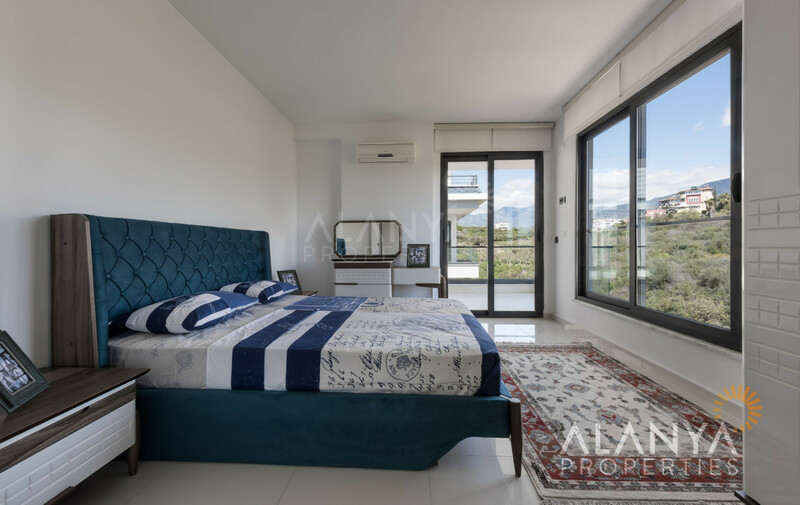 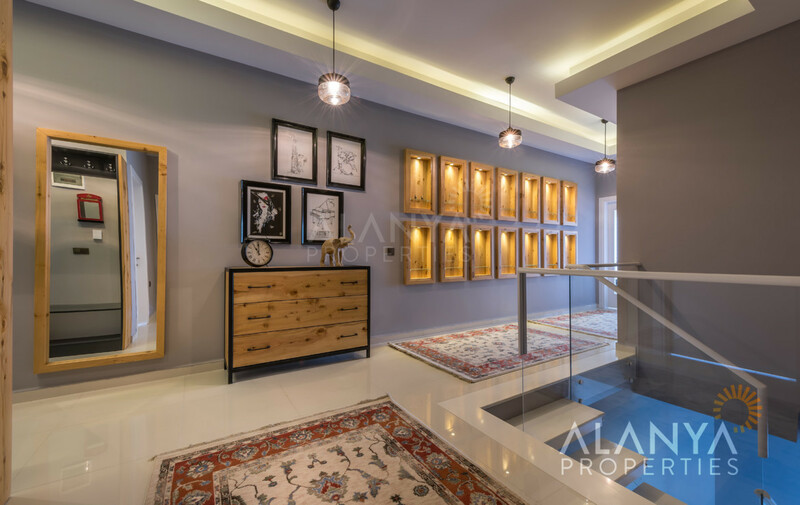 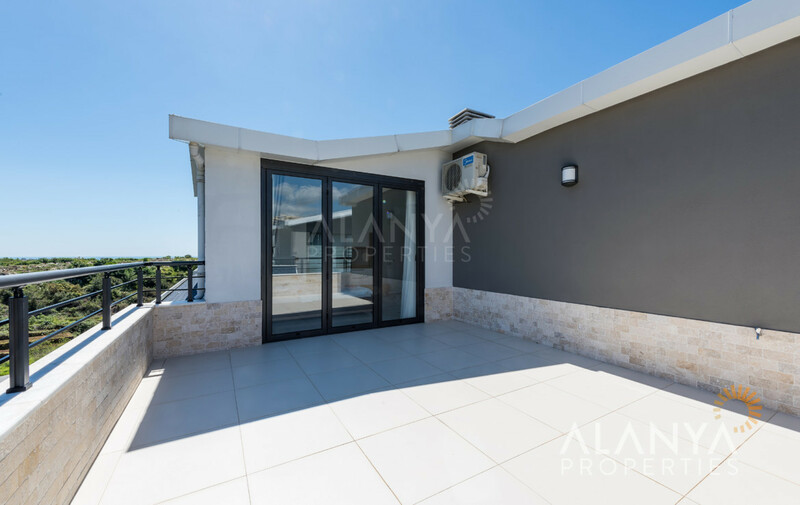 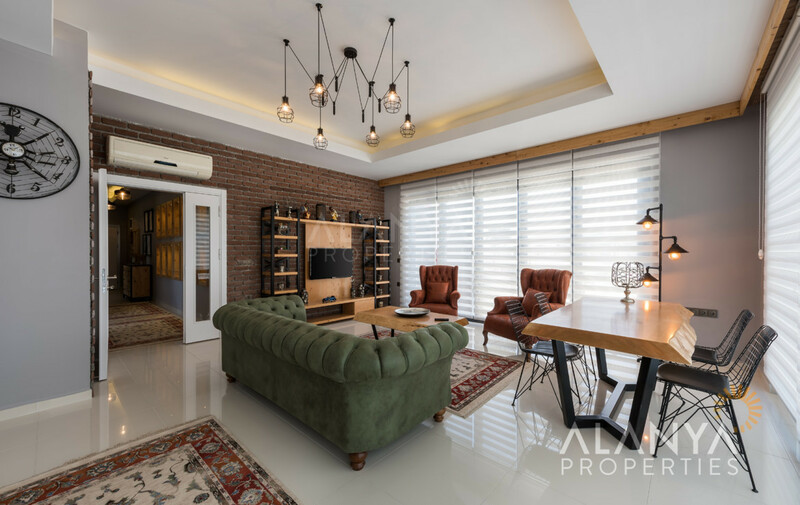 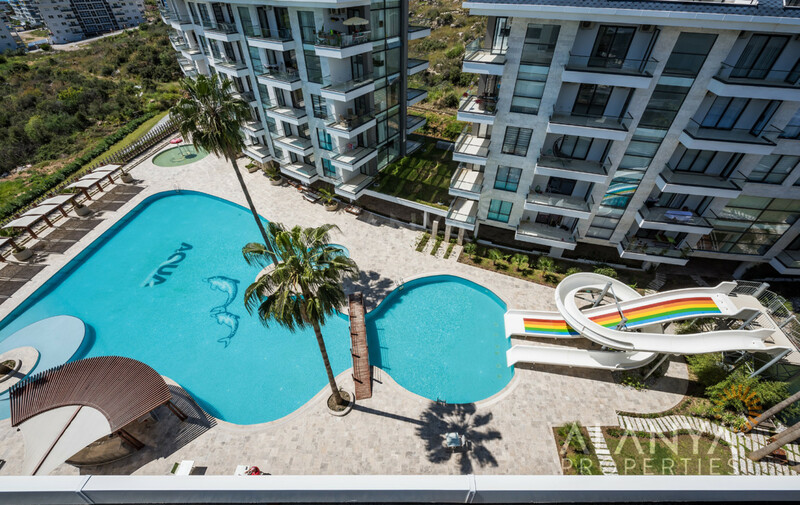 The penthouse is in a moodern luxury residential complex – , with its developed infrastructure, gorgeous grounds, tropical garden, luxury apartments with panoramic views, equipped with the latest technology and design – and is located in Kestel. 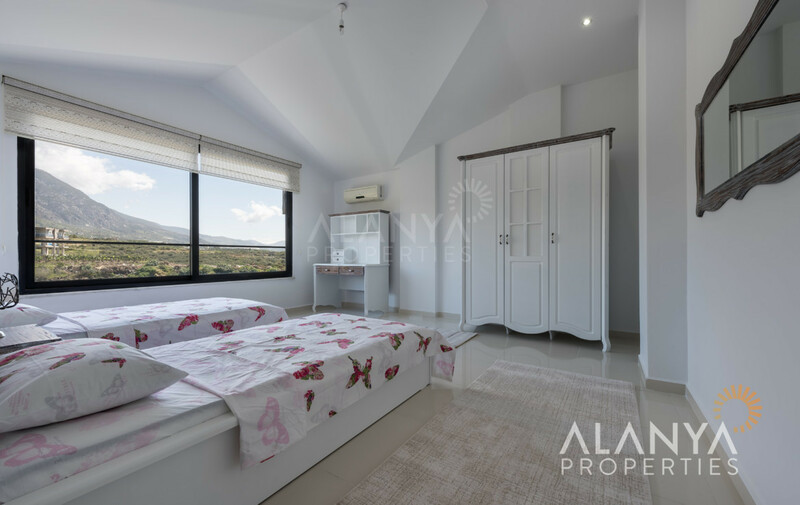 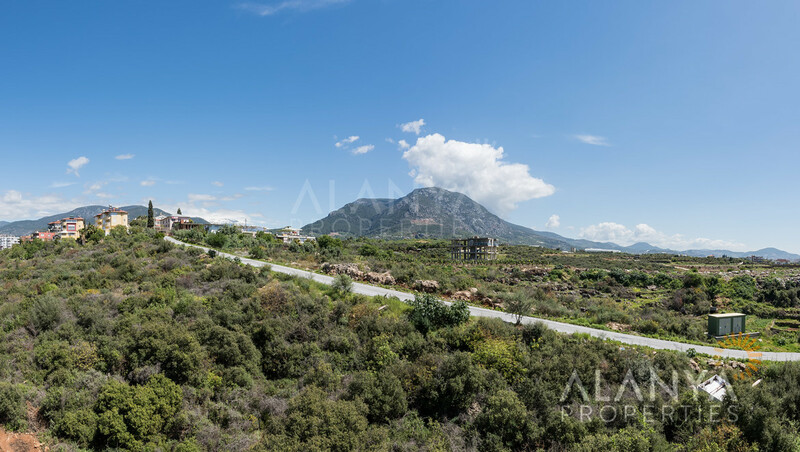 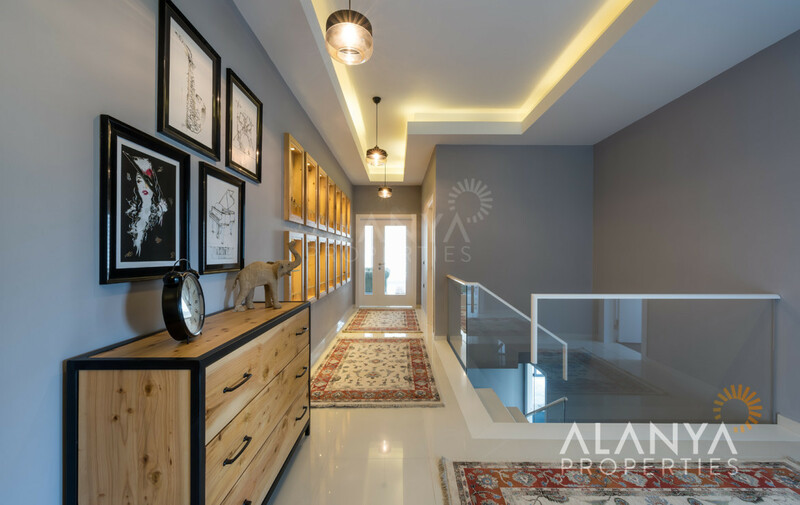 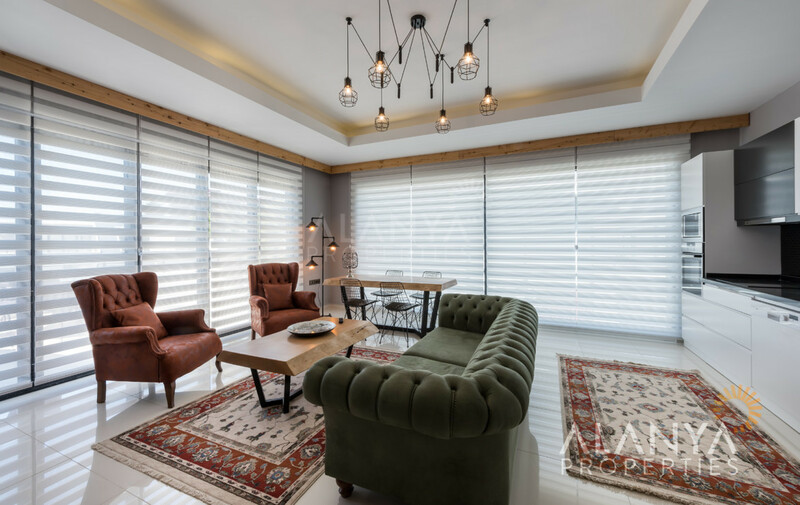 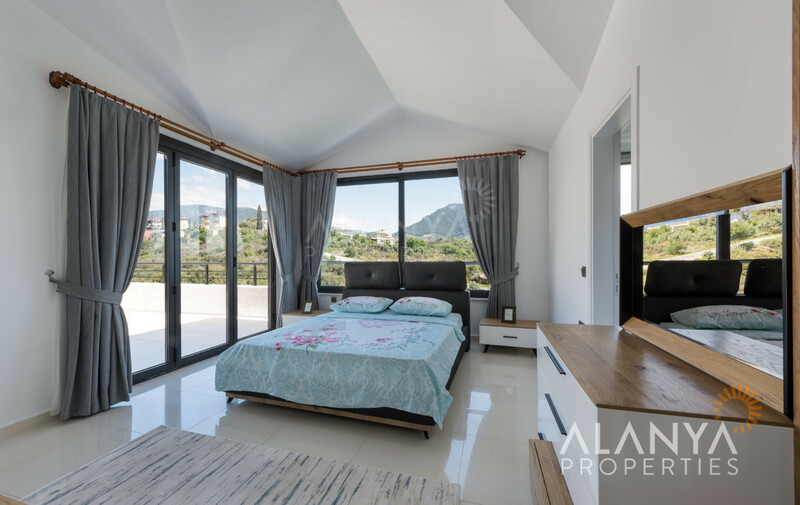 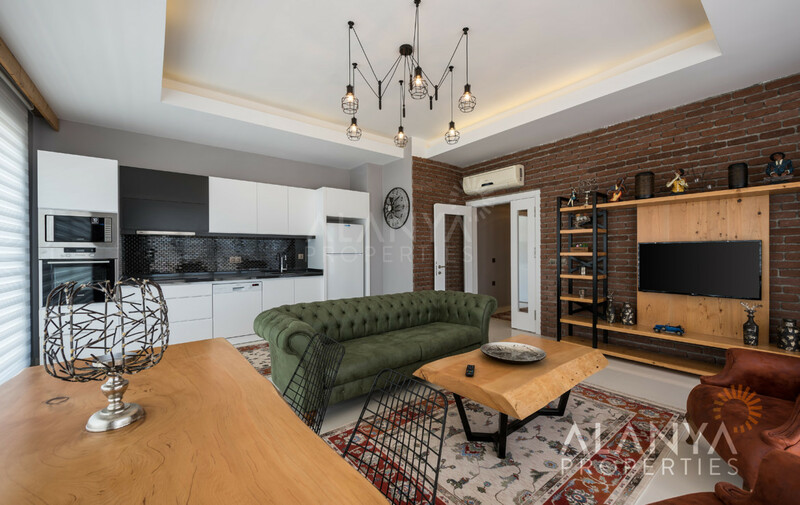 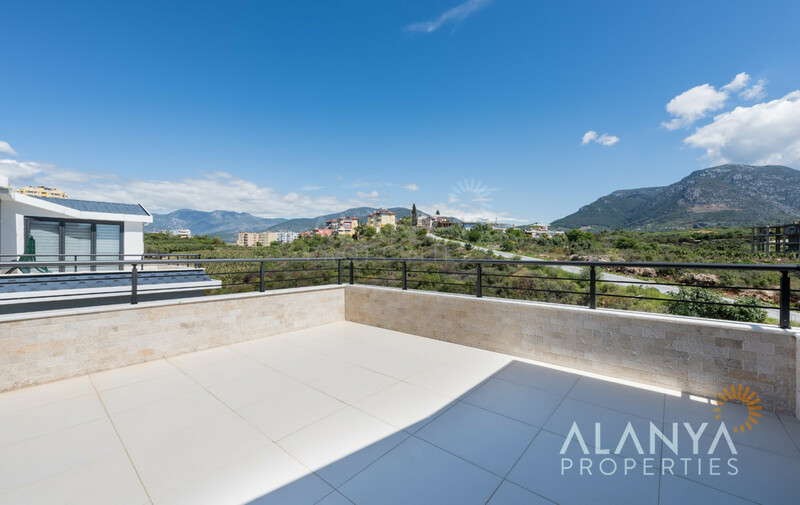 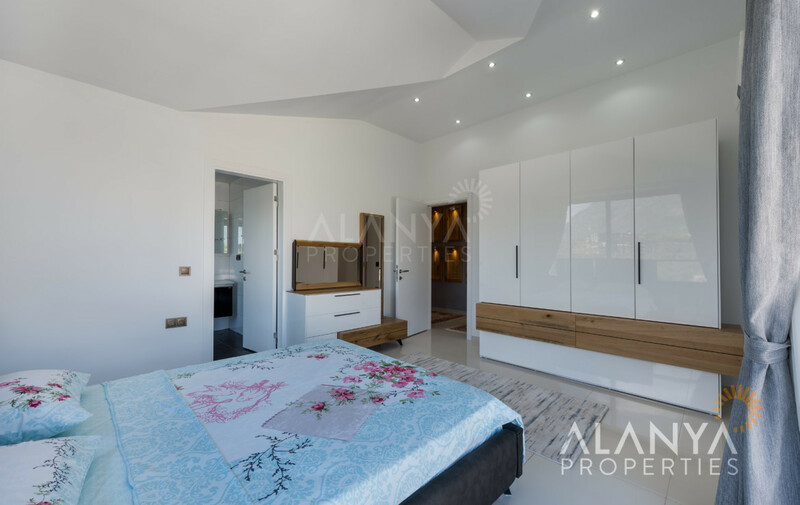 Kestel – the new developing, green and quiet area of Alanya, is just ten minutes away from Alanya City Center and is located between the Taurus Mountains and The Mediterranean Sea. 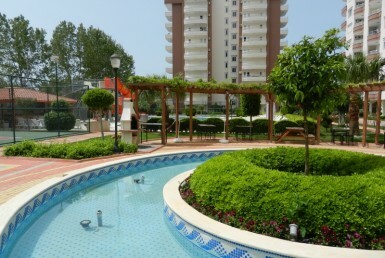 Kestel is the right choice for those who want to live in a peaceful and quiet place. 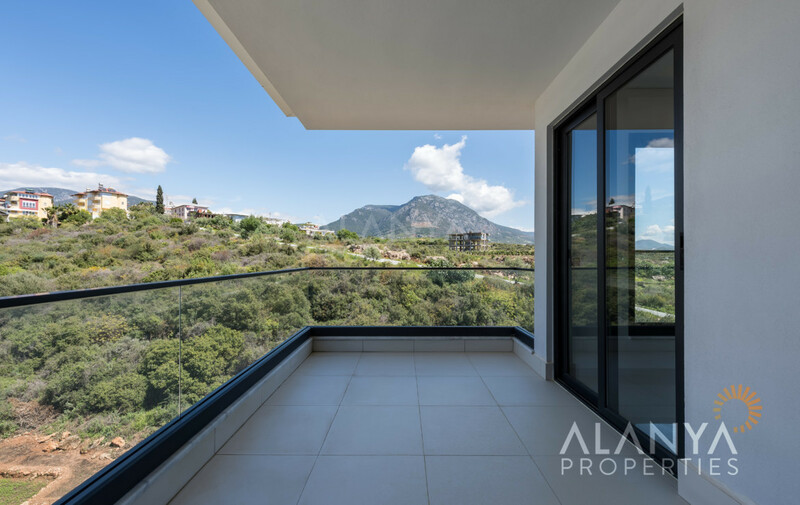 Low-rise luxury complexes (not more than 5 floors) features the properties in Kestel and use only 18% of land for development that means the building will be surrounded by lots of green plantings. 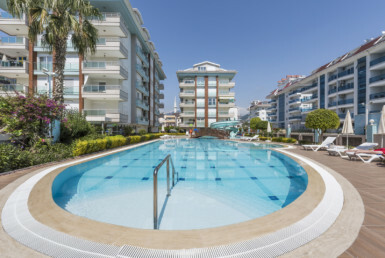 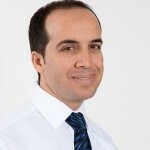 By the way Kestel has all the infrastructures – shops, restaurants , markets, playgrounds, fitness equipments, gazebos to relax, making it attractive for property acquisition.